The Pro version also includes export functionality allowing you to export these details to a CSV file for integration with other systems. 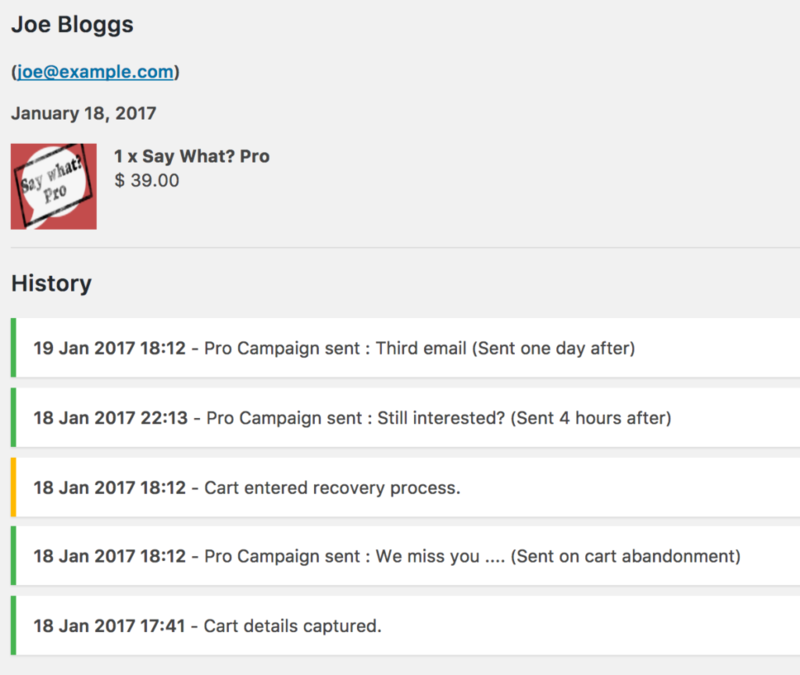 This feature works with our WooCommerce, Easy Digital Downloads, WP e-Commerce, and Restrict Content Pro integrations. 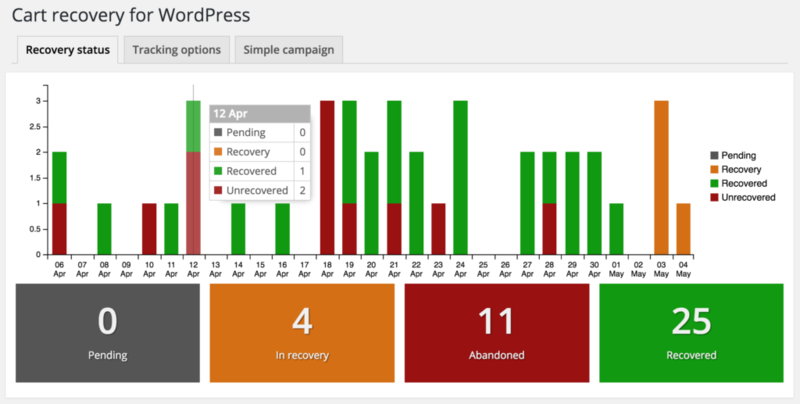 This feature requires Cart Recovery for WordPress Pro.